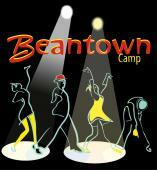 Beantown Camp is coming up before you know it! We’ve highlighted the incredible teaching staff and vast array of classes and thought we’d turn to the music! Four nights of live music will be starting off Friday with the Cangelosi Cards from NYC. We’ve been fortunate to have them in Boston and Providence, but this will be their first Beantown appearance! Their specialty is early American Jazz and will be sure to get everyone in the camp groove. The Saturday night dance party features an expanded version of the Mike DiBari Swingtet. Mike is the guy with the swingin’ guitar, often seen with many of our great local dance bands besides his own. Featured on vocals will be Ed Scheer, one of Boston’s most dynamic and talented singers. We are looking forward to something special just for Beantown! Sunday night features The Racky Thomas Band, one of the most fun and energetic bands around. These guys know how to swing the Blues! They always keep the floor hoppin’ and you just can’t help but want to dance. To close out a full week of Beantown at the Wednesday dance party will be none other than Gordon Webster & Friends from NYC! Gordon is well loved in the Boston area and these days his popularity is growing in leaps and bounds, spreading out to Europe. The wonderfully talented Naomi Uyama will be featured on vocals. If you have not heard the combination of Naomi and Gordon, you will be in for an amazing treat! In addition to all the wonderful live music, the evenings will be featuring an excellent selection of DJs from around the country. Head DJ Michael Gamble has been a big help with bringing in some new faces to the line up and we know we are in for a week of great dancing! DJs include Mary Freitag from California, Mike Thibealt from NY, Dan Newsome from Seattle, Marc-Andre Vachon from Montreal, Wil Reed from Connecticut and Alex Abdoulaev from right here in Massachusetts. Plus there’s more! Peter Strom will be hosting a late night Soul Party, Boston area Blues Cafe will be hosting a late night Blues party and Tara Weinstein will be hosting the open practices. Beantown Camp is about one month away and there is still time to register! Camp is currently open for everyone although we would like to get more leaders, especially for Tracks 1 and 3, and more followers for Track 5. Don’t miss out on this phenomenal gathering of dancers, instructors, DJs and musicians! As of today, dancers are attending from 33 states and 7 countries. There are classes for all levels of experience, including beginners. Beautiful campus, dances, classes, competitions and many other fun activities planned. It is going to be awesome!